Video is an effective marketing tool and many industries will benefit from the technology of 360-degree video. This technology can be used for live event filming, interactive video tours, travel companies, social media and creative branding. 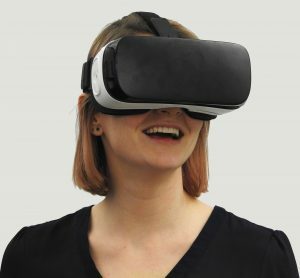 With use of Virtual Reality glasses, it allows the audience to be engaged in the story by viewing the information from all perspectives. The viewer has control of what they see and they have the ability to move around the camera without limitations. Live event filming is a great avenue for 360-degree video and allows the audience to feel present at your event. For example, a sports event or outdoor conference can be very engaging to watch in 360-degrees. Also, it’s a great way to archive the footage to use for promotional purposes later on. An interactive video tour is a good benefit to 360-degree filming in that if you sell a product or service that centers around real-work experiences, your audience will get an authentic look inside. For example, say you open up a new cafe lounge and want to show your audience the new interior design, barista set up and seating layout. This also works great for real-estate to save time and money by showing the expansion of houses and property to prospective clients. In addition, travel companies can market the experience of adventure and fun to potential customers by creating 360-degree videos that portray first person perspectives of new places to travel the world. YouTube and Facebook are the main platforms to share 360-degree videos and they enable easy playback which allow for the greatest outreach to audiences. Viewing 360-degree video on YouTube or Facebook is versatile and can be watched with or without VR glasses, and on both computers and mobile devices. The most interactive way to experience 360-degree video is to view the content through VR (virtual reality) glasses. However, if VR glasses are not available, it can still be very engaging to watch the 360-degree video on Facebook and YouTube and use the toggle arrows to navigate around.